By choosing CactusVPN to secure your online connection, users actual IP address as well as the geographical location will never be known by anyone and anonymous browsing is guaranteed while marketers and advertisers are unable to target users via ads. CactusVPN was originally formed by three friends as a small business venture in 2011 with a vision to offer similar services to a family run restaurant where everyone is dealt with personable. By 2013 the VPN software providers had enjoyed more success and growth than they could have ever imagined since the founders were still dealing with users personally and had to start hiring more people to provide prompt customer service to users. The original family business approach is still maintained and CactusVPN is known for its passion rather than financially driven services, which have now earned it the most trusted VPN service provider reputation. 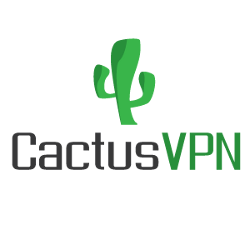 CactusVPN offers access to twenty VPN servers placed in nine countries, while six VPN protocols are included and by selecting Cactus users are guaranteed to maintain their security and privacy while using the internet as well as hide their identity, location and bypass all restrictions and blocks effortlessly. No logs are kept and support is available 24/7 while several packages can be selected from and the VPN service can be tested via a 24-hour free trial period and all options come with a 30-day money back guarantee. CactusVPN offers VPN services and SmartDNS, its VPN secures all users connections to the internet while features include privacy protection, a secure internet connection, blocks and restriction bypasses, high-speed VPN servers, an array of VPN apps and the best data encryption. By choosing CactusVPN to secure your online connection, users actual IP address as well as the geographical location will never be known by anyone and anonymous browsing is guaranteed while marketers and advertisers are unable to target users via ads. CactusVPN encryption protects all user’s personal data from authorities and cybercriminals by preventing deep packet inspection from Internet Service Providers and at the same time secures use via Wi-Fi networks. By hiding your IP address, identity and location, CactusVPN assist all users to bypass blocked sites and censorships. The main reason why CactusVPN is a preferred option is their high-security protection as well as high-speed servers, exceptionally good data encryption, and advanced features. Connecting to the VPN server offers 1 GBPS configured by high-quality admins to provide the best speed, and no technical knowledge is required to connect to the VPN within seconds. All packages cover six VPN protocols, which include PPTP, SoftEther, OpenVPN, SSTP, IKEv2, IPsec and L2TP while the list of advanced features include apps killer, easy VPN protocol switching, DNS leak protection, easy city or country switching and CactusVPN can be used on Amazon Fire TV, Android TV, iOS, Android, Mac OS and Windows. Smart DNS enables users to enjoy internet browsing at the ISP speed since access is offered with no loss in speed, while several different sites can be used at the same time and an unlimited number of devices are covered via a single package. Cactus Smart DNS worlds on Windows, Mac OS, iOS, Apple TV, Roku, Android, Xbox, PlayStation, Fire TV Stick, Now TV Box, Samsung Smart TV, DD-WRT routers and Amazon Fire TV. Advanced features include one-click Smart DNS enabling, region switcher, automatic IP updates, easy DNS switching between servers. CactusVPN services are offered via several packages with monthly, quarterly and annually options, currently, a 14% discount is offered on quarterly packages and a 35% discount on annual packages. The US VPN package is available at $4,99 per month and offers access to four servers based in the USA that include Kansas City, Manassas, Chicago and Los Angeles. The UK VPN is also priced at $4,99 monthly and provides VPN access to servers located in five UK destinations in London. The Liberty VPN package offered by CactusVPN can be obtained via a monthly fee of $4,99 and provides access to one server in Germany, plus two servers located in Romania as well as four servers located in the Netherlands. The VPN + Smart DNS package is offered at a monthly price of $6,99 and includes access to 20 different servers located in the UK, USA, Canada, France, Germany and the Netherlands. The Smart DNS package is available at a monthly cost of $4,99 and ensures original provider speed and can be used on an array of devices. All CactusVPN packages offer PPTP, SSTP, SoftEther, IKEv2, IPsec, L2TP, and OpenVPN protocol and proxy, while advantages include no long-term contracts, no sign-up fees, 30-day money back guarantees on all packages, no logs, free proxy servers, support around the clock and unlimited speed and bandwidth. For CactusVPN users a second package can be activated with a 50% discount when it is used as a gift and should a user purchase more packages a special discount is available. Payment methods include PayPal, MasterCard, Visa, Bitcoin, American Express, Qiwi, Discover, Webmoney, Yandex Money, Alipay and Boleto Bancario. CactusVPN connections can be obtained within a second by downloading apps for Mac OS, iOS from the Apple Store, Windows, Android apps can be downloaded from Google Play Store and Amazon Fire TV. Manual VPN setup tutorials are offered for routers, Windows Phone, Ubuntu, Chromebook, Boxee Box, Android, iOS, Mac OS and Windows, while other handy VPN tutorials are offered on VPN bypass for specific websites and IPs, auto start OpenVPN GUI on Windows, sharing PPTP VPN connection with Mac OSX and easy guides on sharing VPN in Windows 7 by using Wi-Fi. CactusVPN also offers guides that explains the basics of anonymous surfing and online privacy and how to protect online identity, as well as a beginner’s guide to VPN that explains all the VPN basics and new users are bound to find informative information in the Guide to Smart DNS that assists in avoiding geo-restricted site limitations while the guide to online security explains all the do’s and don’ts of being secured online. CactusVPN supports a wide selection of routers including DD-WRT, D-Link, Tomato, Asus, TP-Link, Tenda, Mikrotik, and Linksys. To install CactusVPN on Windows Vista or higher the file can be downloaded from the official CactusVPN site and once users have agreed to the general license, CactusVPN Package should be selected and a destination folder needs to be selected for the space required for installation is 16.2 GB. Once the installation is completed the VPN software will launch and users need to sign in and select the VPN server location form thirteen possible options. The settings tab offers several setting options and the VPN protocol of your choice can be selected, while the VPN can run on start-up, sign in can be activated, connect VPN on sign in can be selected while other options include reconnection of VPN, traffic stop when VPN connection is dropped, DNS leak protection and group servers by country sorted according to download or upload speed. CactusVPN guarantees all users that upload, download and browsing speed offered by the Internet Service Provider will be matched and that no slowdowns will occur by using the VPN services. Cactus offers a summary to assist users to choose the best protocol option, PPTP offers fast speed, poor encryption, medium stability and is good for Torrent downloading and media streaming and is compatible with Mac OS, Windows and OS devices. L2TP/IPsec offers fast speed, medium encryption, good stability, streaming and downloading. OpenVPN offers medium speed, good encryption, medium stability, and streaming and is good for Torrent downloading. SSIP offers medium speed, stability, and streaming and is good when it comes to encryption and Torrent downloading while SoftEther offers fast speed and good stability, encryption, media streaming and Torrent downloading. CactusVPN offers access to twenty VPN servers located across nine countries. The server locations include four in the United States of America, five different locations in the United Kingdom, four Netherlands locations and one server in France. There is also a server located in Germany, one in Canada, one server in South Korea and another in Australia while two servers are located in Romania. CactusVPN is one of the most preferred VPN services for users that require Netflix access, an easy to use app, strong privacy, decent speeds, DNS leak protection, kill switch, and a 30-day money back guarantees while all packages can be tested via a 24-hour free trial period. Easy to use apps provides VPN connection within seconds and CactusVPN set-up requires no technical knowledge while all packages are affordable and tutorials are offered for all supported devices. CactusVPN is highly recommended for individuals who demand the highest level of encryption, completely anonymous web surfing, fast download speeds and a VPN that supports Amazon Fire TV, PlayStation, several routers and Boxee Box.